What is dry heat sterilization? It is the process of killing bacterial spores and microorganisms using a high temperature. This type of sterilization method is used on items that cannot get wet such as powders, oils, and the likes. Picture 1: An example of a dry heat sterilizer. Picture 2: A huge dry heat sterilizer for heavy duty use. Picture 3: Surgical instruments are sterilized using the dry heat method. 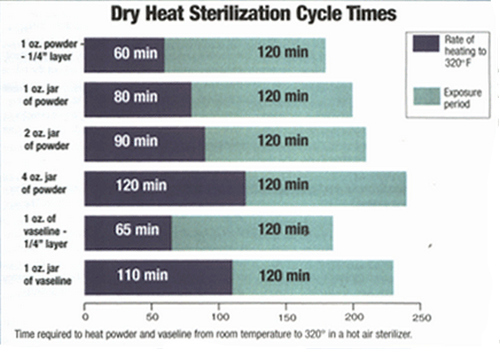 Picture 4: The cycle time for dry heat sterilization. It is a common form of dry heat sterilization used in the workplace. It is basically an oven that can hold several objects. It is closed for a specific timeframe to sterilize the objects inside it. The desired temperature should be achieved to fully maximize the sterilization process. Sterilization is achieved by means of conduction. The heat in the oven is absorbed by the item inside it and passes towards the center of the item layer by layer. For the item to be fully sterilized, it needs to reach the required temperature. What dry heat sterilization does is it inflicts damage by oxidizing molecules leading to the organism’s death. Resistant spores are killed by exposing them at a higher temperature for a long period of time. 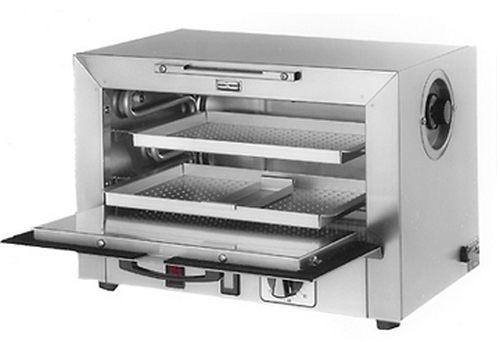 Static air hot air oven – The oven is heated using the coils on the bottom. It would take some time for the oven to achieve its desired temperature. There is also a possibility that the desired heat will not be eventually distributed throughout the oven. What are the advantages of dry heat sterilization? It is a non-toxic way of sterilizing things. It is safe for the environment. It gently and thoroughly penetrates materials. It is compatible with metal and sharp objects because it is non-corrosive. What are the disadvantages of dry heat sterilization? Such method of sterilization takes time because of the slow rate of heat penetration. It requires an extremely high temperature to thoroughly kill resistant microbes, which makes it not suitable for rubber and plastic materials. It does not require human intervention. What the human needs to do is to simply set the required temperature and time. As a matter of fact, some dry heat sterilization equipment only requires you to choose a particular setting and after which the machine will do all the necessary work. Dry heat sterilizers come with a special ventilation system. 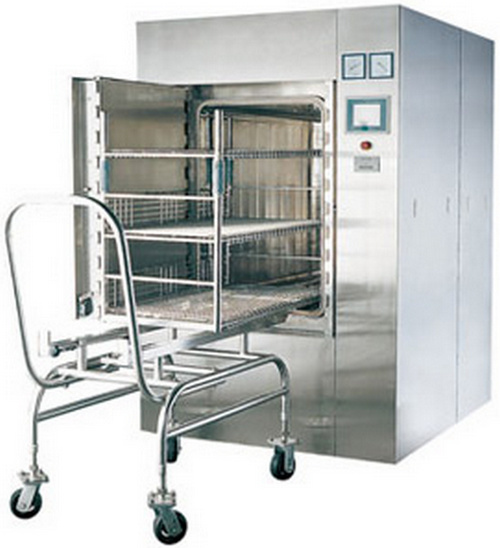 The air in the chamber is heated evenly thereby preserving sterilized objects. The temperature inside the sterilizer is supported and the possibility of overheating is eliminated. It comes with a reserve system dependent on the thermostat and works independently from the primary system. Both dry heat and moist heat are used to sterilize objects. However, there is a huge difference between the two. Dry heat uses dry air of high temperature while moist heat sterilization uses a low temperature and a high pressure of water. Dry heat sterilization takes more time than the heat moist sterilization. The two comes with advantages and disadvantages. Moist heat sterilization requires low temperature and less time to complete. It is also low cost and non-toxic. However, it cannot sterilize heat-sensitive instruments. Should you go for dry heat sterilization? Cost-effective – Dry heat sterilization process is cost-effective because there is no need to use water for the sterilization process to take place. It also does not affect the quality of items being sterilized. In other sterilization methods such as moist heat sterilization, the items are prone to rust and corrosion. Cool down easily – the items being sterilized using dry heat sterilization require less time to cool down. Medical professionals can use the items after a few minutes of sterilization. Control options – Most dry heat sterilizers have control options. You do not need to set the time and temperature as all you need is to press the control button and the items will be sterilized on their own. No need for human interventions. Dry heat sterilization is the commonly used sterilization method in the workplace because it helps accomplish workplace goals. 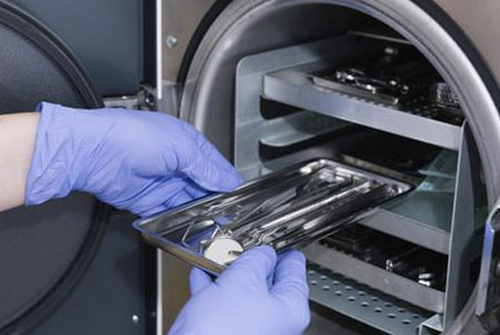 In the medical setting there are many instruments and items that need to be sterilized. Dry heat method enables you to sterilize the equipment thoroughly. It does take some time but the items are cooled down easily enabling medical professionals to use them right away.